That’s a nice Steelhead pulled in by Gerald Keller’s brother-in-law on the Big Manistee River in north western Michigan . Looks like a lot of people were out fishingn that day. 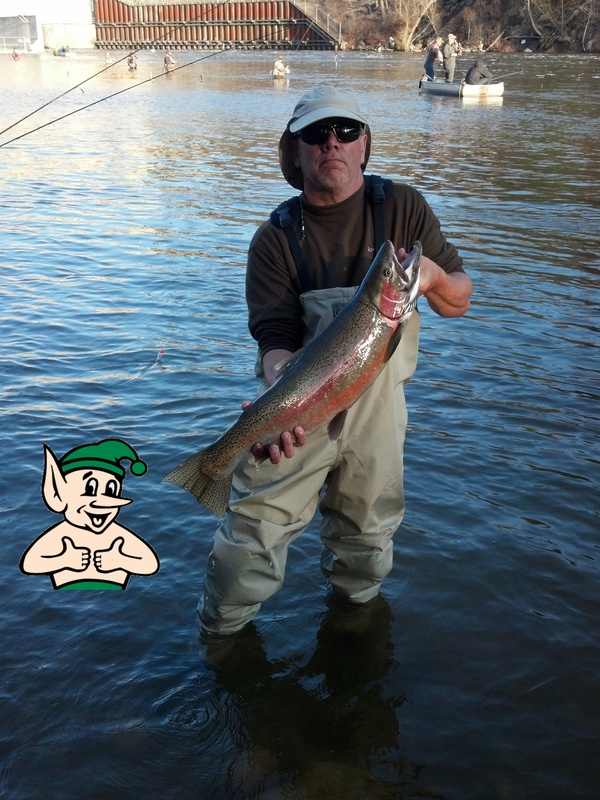 Look at the beautiful colors on the Steelhead. The Gremlin gives this a definite two tumbs up!